How to make simple slug-defense contraptions. It is possible to recycle things that would otherwise end up in the trash, and use them as a means of slug control. 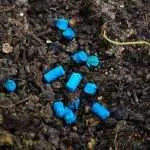 For example, bottles or cups can be redesigned in a few simple steps to protect vulnerable plants from slugs and snails. 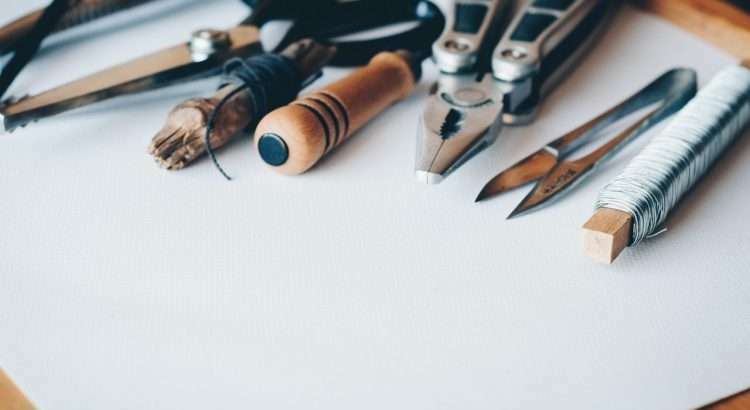 The idea is not only to recycle but to upcycle: to make something better out of trash or old unused stuff around your property. This is an efficient way of minimizing waste and your consumption demands. The environment and the wallet will be happy. 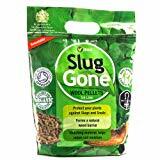 So instead of buying new stuff, take the time to create peaceful slug control measures for the garden. Any of the following solutions can be fun with children. In addition, they will make an excellent gift idea for those who are regularly afflicted by slugs and snails. Why buy something expensive if it is possible to build it yourself? Offer a small gift to nature by making your vegetables and flowers happy through recycling or upcycling. Transforming old drinking cups and yogurt pots into snail collars does not require a lot of prior manual knowledge. Likewise, old bottles can become plant protection hats, and rain gutters or metal sheets can be redesigned as slug fences. Small collars, to protect against slugs and snails, can easily be made from old plastic cups. Likewise, bigger collars can be made from buckets. Particularly suitable for this purpose are cups with a wide edge/rim, which, like the original snail collar, extend far with a sharp point around the corner. The broader and sharper the edge, the better it is for slug control. 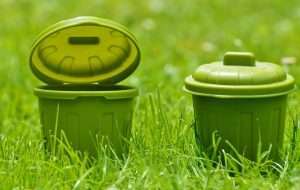 Even buckets or similar packaging containers made of hard plastic – preferably food grade – can be used. Furthermore, it is advantageous if they are transparent and have a lid. Larger vessels are better because they can accommodate more plants. If the surrounding container is transparent, light will penetrate through and help the plant grow. To transform cups and buckets into slug collars, the only thing one needs to do is to cut their bottoms off carefully. After this, put the collars over the plants in order to protect them. Large transparent cups (volume 12oz / 0,5 liter) are well suited for young plants in their early stages. Buckets (volume ~1 gal. / 3 to 5 liters) are well suited for protecting bigger salads, cabbages or bean plants. Especially useful: snail and slug collars with lid. If the edge does not stop all slugs and snails as desired, one can put a lid on the collar/ bucket at night, when the slugs are particularly active. It is also possible to make a lid by cutting a piece of wood, cardboard or plastic that fits on or in the opening. Furthermore, it is advantageous if one uses yogurt cups, to not completely tear off their closure, so they can be closed again if necessary. In general, cups and buckets with an extra lid are perfect, especially if they are transparent. One can then pierce some holes in the lid, and the snail guards provide perfect protection. At the same time, a small greenhouse for the young plants is created, and they will benefit a lot from their modified protected microclimate. Transparent cups for iced coffee that are already equipped with a sturdy dome lid work well. They are transparent and a bit larger than regular cups. Nevertheless, simple, transparent fast-food cups, smoothie cups or dessert cups work just as well. With opaque materials, the problem is that the plants are often in the shade, which is not good for their growth. In this case, one can consider removing nontransparent collars on sunny, dry days and only use them at night. The self-made snail collars are well suited to protect plants that are still small and particularly vulnerable. It, therefore, makes sense not to put the cups in the bed when the plants have already grown to their capacity, but to sow the seeds already in the planted collars. In addition, you can improve this slug control measure with copper against slugs, slug repellent paint, mosquito nets or even bird protection nets – as in the following video. It is relatively easy to make your own plant hats. For this task you need, for example, big old jars or large plastic/glass bottles. The bigger, the better. 32oz (1.5 – 2 liter) plastic bottles are a good fit for larger plants, while 16oz (1 liter) bottles are enough for small plants. The bigger the bottle, the longer it can offer protection before becoming to little for the plants to grow inside. One can remove the bottom of the bottles and glasses, as described for the cups. To remove the bottom of plastic bottles one can use secateurs. It is easy to injure be careful and mindful. After the bottom is removed you could defuse the new sharp edge with coarse sandpaper in order to finish off the plant protector. If the bottle has a lid that you want to use, you can drill or pierce small air holes in it, so that fresh air can reach the plants. If the bottle/jar does not have a lid, it is possible to close the opening with a piece of mosquito net. In this way, the plants can still breathe, but slugs and snails will be kept outside. Garden bells/cloches or greenhouse buckets differ from plant protection hats only in size. They are taller, larger and can even be configured into a row or small tunnel. Sometimes they are also called Victorian bells. Pails, drums, buckets, barrels, boxes, or the like are used in order to make these bells or buckets. 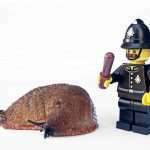 There is basically no difference between a big snail collar with a lid and a garden bell. Usually, snail collars are smaller, but if you make them yourself, you can make them larger. In the case of garden bells, on the other hand, the edge does not matter because they normally stay closed. It’s best to use old transparent storage containers. Again, the bottom of the vessels is carefully removed, and this allows you to slip them over the garden plants. Then drill or pierce holes in the lid, so that fresh air, rain, and irrigation water can get inside. An advantage of these self-made garden bells is that their lid is removable when the inside conditions become too warm for the plants. In addition, when the plants outgrow the inside, it is possible to expand the space upwards with mosquito net or a bed protection blanket. Just place a few wooden or bamboo sticks in the corners or over the middle of the rim, and a mosquito net can be draped over the modified frame. In this simple way, a small slug proof shelter is created, which can be adjusted in height. One can adjust slug collars in a similar manner. 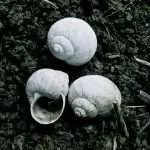 The dream of any snail-colonized garden is a snail-proof fence that can effectively keep the pests out of the beds so that the vulnerable plants are safe. But the metal fences are relatively expensive and not affordable for some gardeners. Plastic fences, on the other hand, are often not effective enough. But there are some options worth considering on how to construct a DIY slug fence. If one does not have a bed enclosure border, it needs to be built together with the slug fence. Possible materials are metal sheets, wooden planks or bricks. The challenge of upcycling is to use things that otherwise would be thrown away. This means that one needs to improvise and come up with completely new ideas. Since most snails and slugs do not like crawling over copper, one can protect a garden bed with special copper tape. To do this, tack or glue the copper tape around the bed enclosure without leaving any gaps. Copper is also suitable for protecting raised beds. One must make sure that the material of the bed enclosure border is appropriate for the copper tape to be attached. In the marketplace, there are products with copper wire mesh. 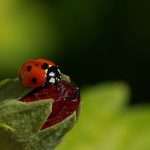 Their effectiveness seems to depend also on the type of slug or snail you are dealing with. Also suitable is self-adhesive copper tape, which should be at least two inches (five centimeters) wide. Narrow copper strips can too easily be overcome by persistent slugs. The new slug deterrent paint “Schnexagon” can also be used to create a slug-proof fence. The repellent paint is applied to the bed enclosure about 4 inches wide (10 centimeters). It is best if one can paint Schnexagon under a small overhang, because the paint will be better protected against wind and weathering, and will, therefore, last longer. After rainy periods the paint slowly loses its deterring effect and has to be renewed. U- or J-channels and L- or V-shaped plastic or metal bars, which could be attached to the existing bed enclosure borders are handy for this purpose. The original slug fence is effective because it has a special double-folded edge that irritates the slugs, preventing their passage. When trying to crawl around the edge, they fail to do so or fall down. Therefore, one can try to recreate a similar sharp edge. For example, if one has a wooden bed frame, it is possible to attach a thin metal bar or a flat iron to it. If, like the snail collar, it points downwards at about 45 degrees, many slugs will be repelled. These edges are difficult to overcome for slugs, as they are too sharp for the animals to climb around the corner. Therefore, it is essential that the used sheet metal or angled iron that is as thin as possible. An edge made of wood is not suitable in most cases. This method is worthwhile only if one has already matching metal or iron. If not, it will probably be cheaper to buy the original metal slug fence. 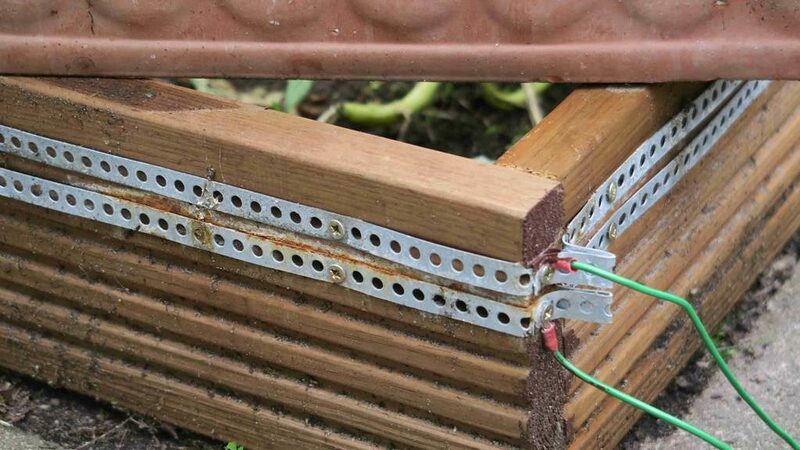 Another way is to construct an electric slug fence. In this case, two parallel lines of copper or galvanized metal are attached to the border of the bed enclosures. Each line is connected to a pole of a rechargeable battery, and the battery is hidden in a waterproof case. It is also possible to use a solar panel to recharge the battery. Since land snails and slugs cannot swim and drown under water, one can use gutters to create a trench around the beds. Of course, old gutters made of copper are also suitable without water as a form of protection against the slugs. Rain gutters are already good protection in themselves if they have a sharp edge, which will be a problem for the slugs to pass. 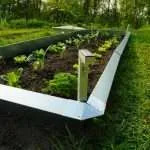 If one connects a series of gutters to make a continuous ditch that is subsequently filled with water, the plants will be secure. So, before dumping old gutters, one can use them in the garden. Matching corners are usually needed for this to work, and these can be bought from any hardware store or ordered online. 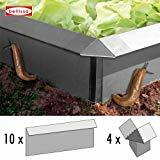 In this situation, one should carefully calculate whether the purchase of an original slug fence would be cheaper or more expensive than guttering. The self-made slug collars, plant hats and garden bells can have extra protection with Schnexagon or copper tape. 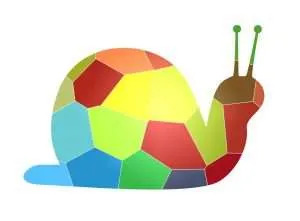 These two agents are versatile for their use against snails and can easily be connected with other ideas. It is especially worthwhile to use copper or slug deterrent paint with cups, pots, and jars which have no safe edge or lid. I hope these ideas can be used to help you create slug-proof beds and to protect any vulnerable vegetables and flowers. 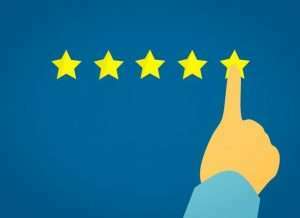 If you’ve tried something, please post a comment with a picture to share with the community. Thank you very much and enjoy slug control crafting! 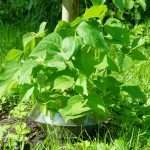 I have found a DIY-guide on how to construct a slug-safe mini greenhouse with a simple means of production.